Today I’m going to share fresh and premium looking Free Responsive Html5 Css3 Site Templates that can be useful for you. It’s not very hard to find some free Html website templates but finding a good quality Free Responsive Html5 Css3 website Templates is a bit harder and can be time consuming. Why waste lots of precious time ? Dive into this list I have put together a very useful resource in this post . WebTecHelp always try to produce best quality freebies which are made with love by professional designers around the web . Professionally designed and well coded templates always make life easier for developers, not solely as a result of they save time and efforts. Since web development is an ever expanding field, it’s necessary for developers to keep their work up to date with latest technology. HTML5 and CSS3 templates are the latest technology to make your websites future proof and make them even a lot of accessible. Medilap is free bootstrap HTML5 template 2016 for health and medical websites. This template is fully responsive and well documented. It is a simple responsive and multipurpose template, ideal for personal, blog or agency site with an elegant and minimal design. Mobirise is flat and free bootstrap template. It looks awesome in your browser or any mobile device. 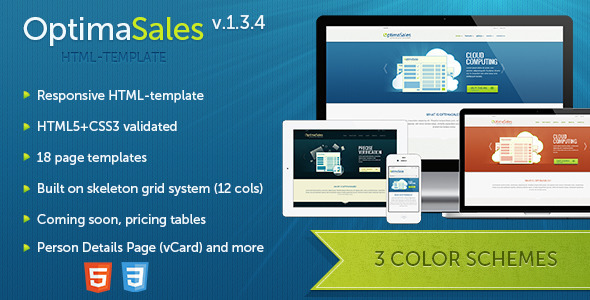 It comes with cool stuff like charts, pricing tables, font awesome, logo, fevicon and more. Knight is a clean, modern, and multipurpose web template built with Bootstrap. Ideal for portfolio or personal or landing page. Some of the key features are: Beautiful Design, Mobile Responsive, Retina Ready and Fully Customizable. 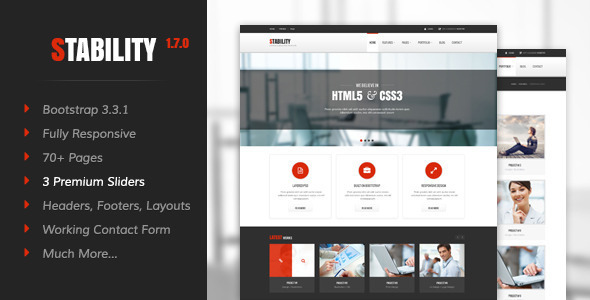 Butterfly is a clean Bootstrap theme created for corporate or small busines landing pages in mind. Some of the key features are: Beautiful Design, Mobile Responsive, Retina Ready and Fully Customizable. 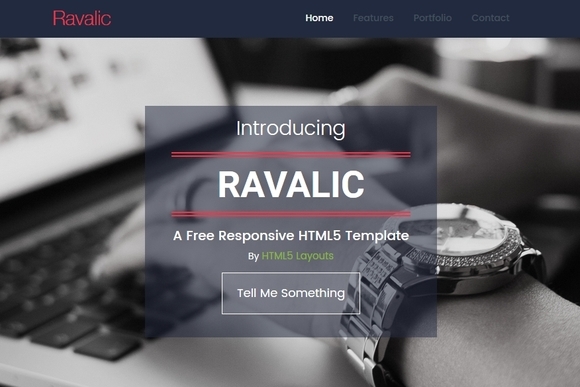 A completely free responsive HTML5 template that you can modify to suit your purpose. It may suit a design business or portfolio site. This theme is designed for businesses that use lots of photos such as photographers, designers and architects. It includes a parallax effect and is fully responsive for desktop, tablet and mobile. 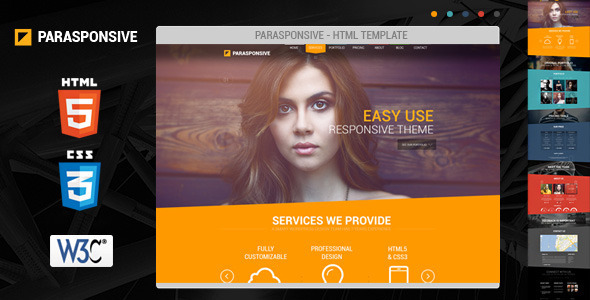 This theme is perfect for all types of business websites. Fully professional and clean design. menu, slideshow, portfolio/services, footer and social media icons. Helios is a business template built on skelJS with one page layout along with left and right sidebar options for blog style theme usage. Being constructed with the newest coding standards, it utilizes HTML5, CSS3 and works well on desktops, and screens of all sizes due to its responsive nature. Whether you’re starting the new one or going to redesign the existing look of your website (that deals with traveling) this theme is perfectly tailored for this purpose. A corporate template for big brands which want to give high profile data to the visitors without compromising the quality. Fantasy theme is free responsive template based on Bootstrap. Image preview page with right sidebar is included. Multiple columns featured in about page. Contact form is included together with location maps. Urbanic is free responsive template using Bootstrap 3. This is one-page layout that is ready to view in mobile phones and tablets. Portfolio images are categorized. Contact form and Google Maps are included. Aqual Single page Flat Responsive can be used for agency, portfolios, corporate, and non-corporates. stunning layout that can attract your visitors. Free HTML5 portfolio template designed in clean, clear style. That’s a great choice for building a personal portfolio, no matter if you are a web, print or graphic designer. Studio Francesca is a minimalist simple responsive HTML5 and CSS3 template that is more suitable to showcase your portfolio. Studio francesca offers 9 color scheme to choose from and fully customizable. A food, restaurant, hotel template which is totally responsive in design and made available for free. The crisp colors make the theme look great and you an maintain the same by adding high quality food pics. This best template for exterior design website. Professionally made by templatemonster and is totally free to use for your business website. Agency portfolio comes with flat responsive layout. show your portfolio right in this template to get attract your visitors and clients. Zboommusic is best for personal blogs. It has simple layout with dark theme. It offers navigation menu, slideshow, portfolio and the latest blog posts on the homepage. Masonry layout, clean style, focus on typography is a Free HTML5 Theme for Design Studio, and you’re welcome to try it for your next design. Robert and Emily is a great theme for wedding occasion. There is no need to buy premium template as this theme is totally free and you can use it any wedding related function. This is best template for Spa Salon websites. Comes with five built-in pages, slideshow, beautiful color scheme and everything that you need for spa salon website/blog. If you are looking for some cool template for your restaurant site then below is fully designed for you. Professional and clean design with minimal colors, beautiful menu, social icons and much more. Motive a glossy Flat corporate Responsive web design template. You can use this template for any kind of website. Top class slider design elements will impress your visitors in the first moment they visit your website and view this glorious template. A creative business template is what you will get for download with nice portfolio elements integrated on it. A single page business website options can be fully utilized with this new template as you can scroll all the way to find the content you need without much links. Hey. 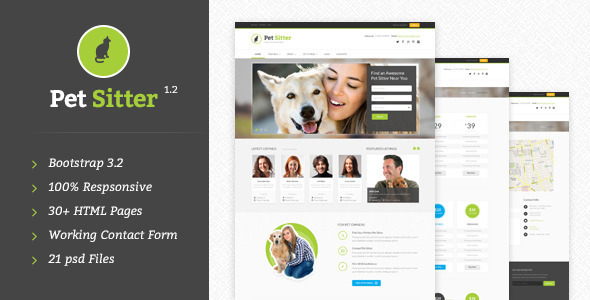 We have launched a brand new Business HTML Template. Please consider to include it in your collections. Thanks a lot for supporting our work. You are always welcome, We will add it.